News Mother Bunt Her Daughter's Face For Stealing #200, Less Than A Dollar. Mother Bunt Her Daughter's Face For Stealing #200, Less Than A Dollar. 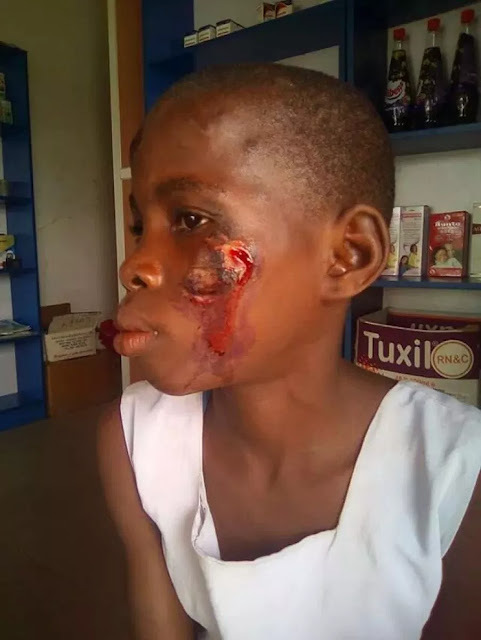 An incident occurred yesterday in Ikot Ekang Itam,Uruan Local Government Area Of Akwa Ibom State, where mother surprised many people with her brutality after she bunt her daughter’s face with a hot iron because she misplaced N200. It was reported from a source that the incident occurred yesterday in Ikot Ekang Itam, Uruan Local Government Area of Akwa Ibom State. The information was gotten from an NGO, Child’s Right and Rehabilitation Network (CRARN). 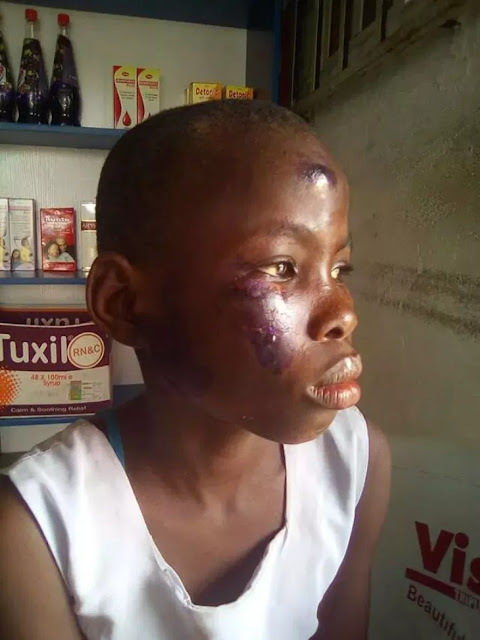 “Early Thursday, I met ten-year-old Udeme Usen Etukudoh, an indigene of Ikot Ekang Itam, being treated for burns and a deep cut on her face at a small pharmacy along Calabar/Itu Road. Upon inquiry, I learned that Udeme was severely abused by her own mother for “stealing N200”, the sum which is less than a dollar. 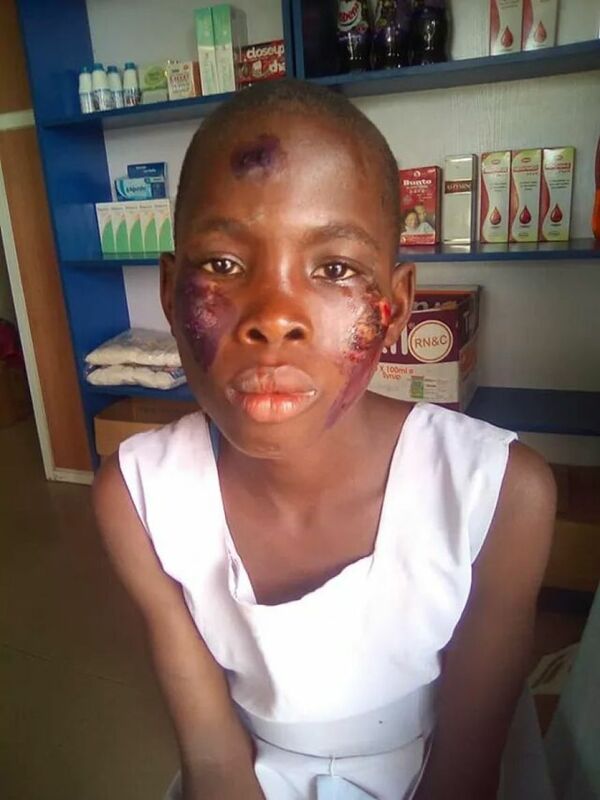 Udeme, a Primary 5 pupil of RCM School, near Itam Police Divisional Headquarters, said her mother, because of the missing N200, pushed the plug of an electric iron into an electrical socket and further applied the extremely hot device on parts of her body. The burnings later disfigured her face. Not satisfied with the burns, the girl said her mother used a short wood to hit and tear open her right chin just by her eye. Her mother, Aniedi Etim Akpan (according to the little girl), had gone out for petty trading at the popular Itam market as of the time I visited their house to make findings. Udeme’s stepfather, whose name could not be ascertained at the time of checks, and a woman who said she was the little girl’s elder sister, said that the missing money was stolen by Udeme, and that she deserved the burns dealt on her as “punishment”. But the little girl, who lives with her mother and stepfather, denied stealing the money. She said anytime money gets missing from her step father’s pocket or house, the theft would be attributed to her. She said she was innocent of the accusation. Upon further inquiry, Udeme led me to her biological father, Usen Okon Etukudoh, a bricklayer who lives just close to where his daughter lives with her mother. Usen said Udeme had opted to stay with her mother, Aniedi, after their separation some years back, but that he would stab his former wife with a broken bottle if anything happens to his daughter. As at 11.30 am, Udeme, dressed in her school uniform, had not taken breakfast when I met her at the pharmacy. To show the extent of trauma the little girl went through, the step-father who took her to the pharmacy shop rejected the bill of N4,000 he was asked to pay for the child’s emergency treatment. He wanted to pay N2,000 instead. I had to buy a loaf of bread and Coca-Cola so that she could eat something before being administered with what the pharmacy attendant called “inflammatory injection” to stop the pain.